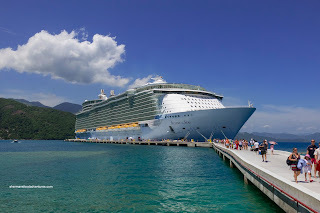 Going way back and I mean waaaaay back, our first ever cruise was aboard Royal Caribbean's Grandeur of the Seas in 1997. Viv and I were just young pups. 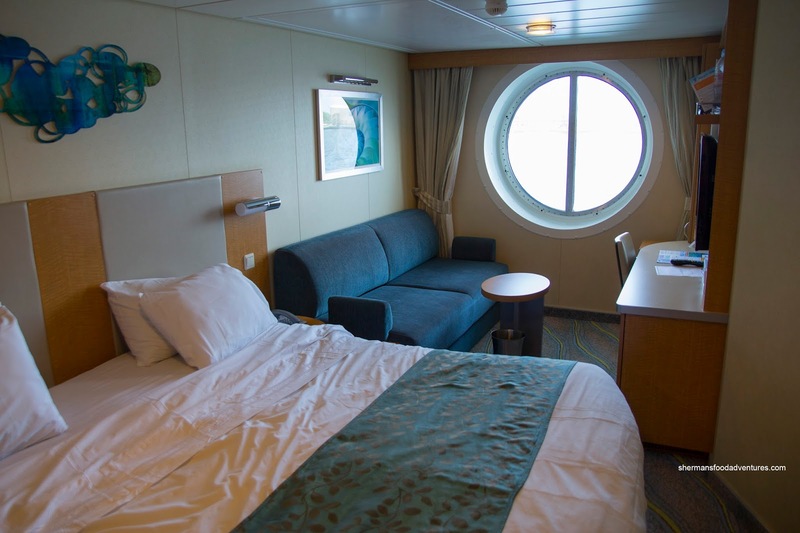 Little did we know that it would be the start of many more cruises, albeit with other cruise lines. Despite our satisfaction with that trip, we never sailed with RCCL again. 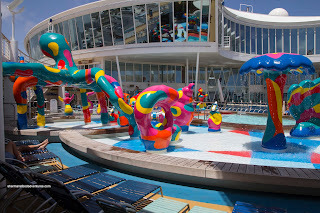 Shortly after our Alaskan cruise last year on Holland America's Oosterdam, we made preliminary plans to do the Western Caribbean aboard RCCL's Allure of the Seas. Fast forward to Summer 2013 and not only were we booked for that cruise, we had tacked on 2 more weeks of fun including Orlando and Miami. Along the way, we picked up my parents in Ft. Lauderdale as they were joining us for the cruise. So what brought us back to RCCL? How about boosting the largest cruise ship in the world in sister ships Allure and Oasis. 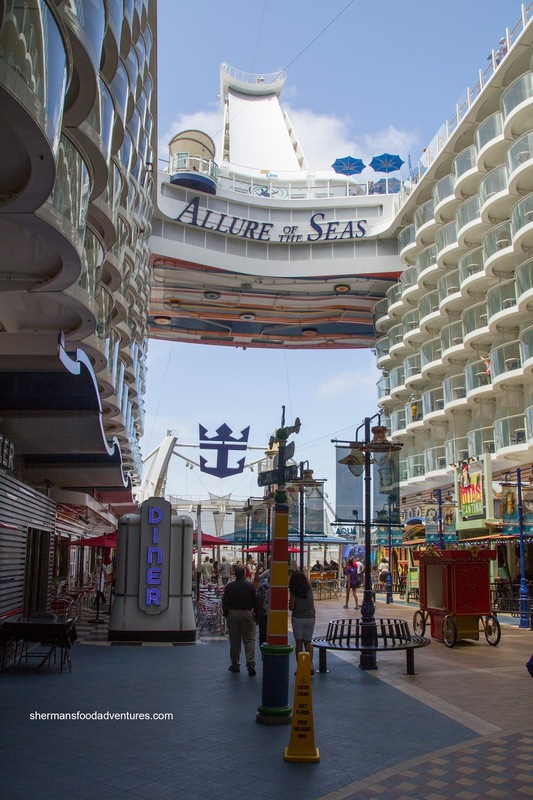 Able to accommodate 5400 guests (6296 max) and 2384 crew, the Allure and Oasis are in a league of their own. 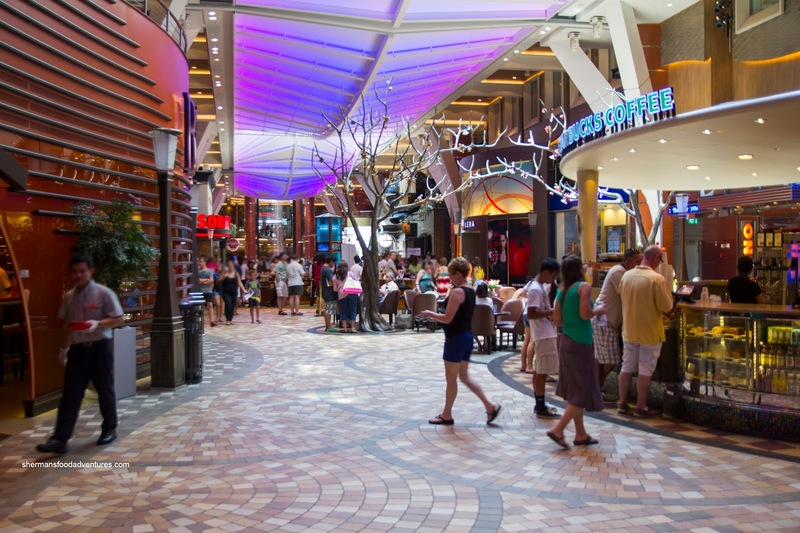 With a dedicated terminal at Port Everglades, the embarkation was a breeze as we sailed (sorry for the pun) through the check-in and made our way upstairs to the waiting area. By virtue of being past customers, we were placed in the gold lineup and boarded earlier than the regular lineup. On board, we headed up to the Windjammer Buffet for some lunch before exploring the ship (more on that later). Our room was an outside cabin with porthole. We would've preferred a balcony, but it was just a bit too pricey. 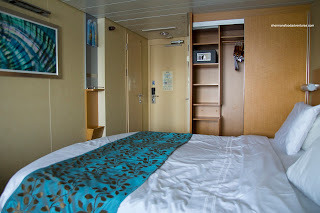 Much like many regular staterooms on cruise ships, this one was limited in space (especially with the 2 kiddies with us). 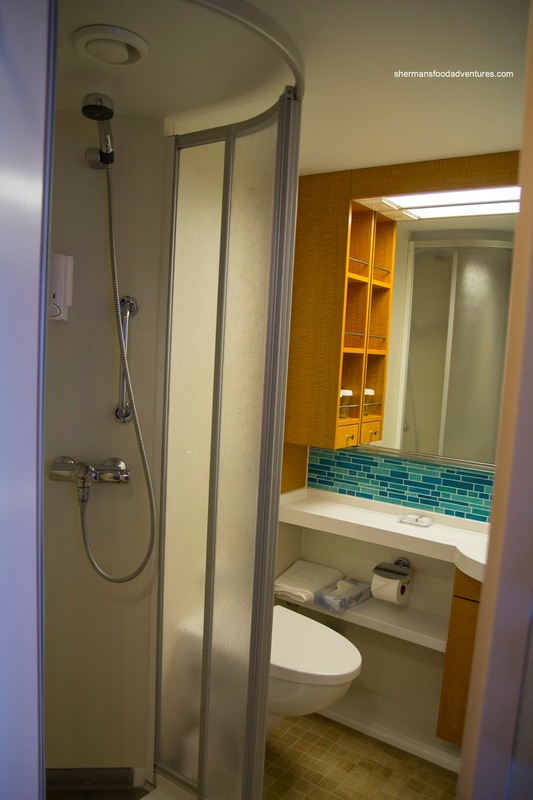 The washroom featured a shower stall with a rounded door which meant there was a bit more space. However, the shampoo dispenser was poorly positioned as it could be knocked off with an errant elbow. On the other hand, our room was not the main draw here as the public spaces were awesome. Outside on deck 6 was the Boardwalk where we found a carousel, Johnny Rockets, Rita's Cantina, Ice Cream Parlour, candy shop, Boardwalk Dog House and Boardwalk Donut Shop. Oh yeah, there was Zoltar too. On the level below mid ship was the Royal Promenade that could easily be mistakened for an actual shopping mall complete with Starbucks and Guess. 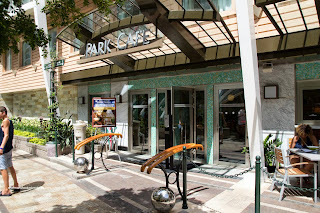 You'll find guest services, the photo gallery and various lounges and bars. 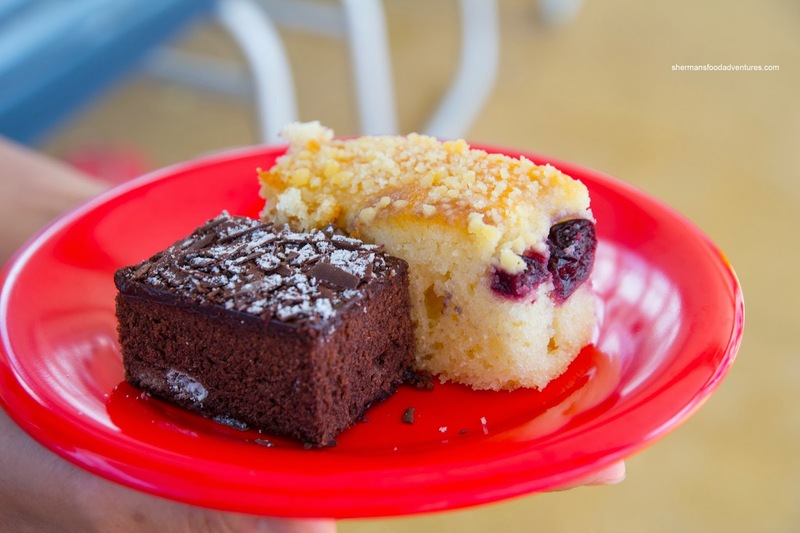 The food options here included Sorrento's (pizza) and Cafe Promenade (little treats and sandwiches). 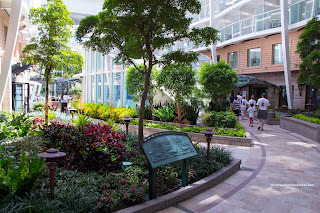 Finally, a neat little bar in front of Cafe Promenade called Rising Tides acted like an elevator moving up and down from deck 5 to deck 8 (Central Park). In its wake, it left behind a water fountain. And about that Central Park (where Giovanni's, Park Cafe, 150 Central Park and Chops Grille are located)... whoever had the gall to design a cruise ship with an actual park on board could be considered a genius or nuts. For me, I loved it as I could literally sit there and actually forget I was aboard a ship. Yes, the trees and plants were real. In addition to these marquee neighborhoods, there was the usual RCCL rock climbing wall, zip line, wave rider, mini-golf and ice rink. For some of the activities, a waiver needed to be signed first, which we did online to save time. Complimenting the other pools on board, there was a kiddie section which featured a spray park, river and shallower pool. Adjacent to that was complimentary frozen yogurt. 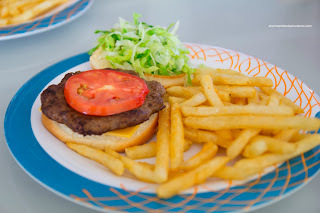 On the same level was the Wipeout Cafe which offered up fast food consisting of hamburgers and hot dogs. 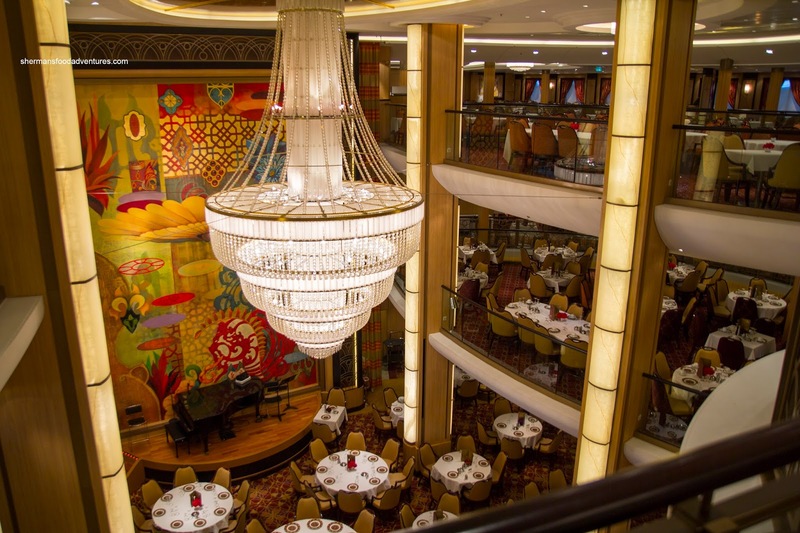 Due to the sheer amount of passengers on the ship, the main dining room (Adagio) consisted of 3 floors rather than the usual 2 on most cruise ships. It was tastefully appointed featuring a large chandelier overlooking a grand piano and floor-to-ceiling mural. As for the actual food, it was hit and miss (more on that in separate post). 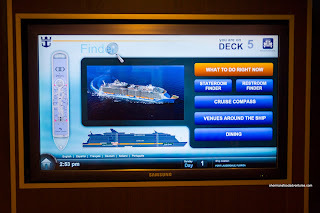 And if you got lost on the ship or didn't know what was going on, there were information screens everywhere. 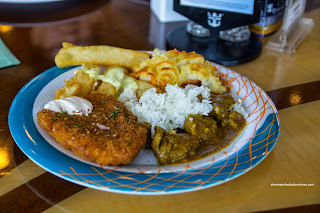 Now onto the food... As per the usual cruise ship embarkation ritual, we headed up to the Windjammer Buffet for lunch. 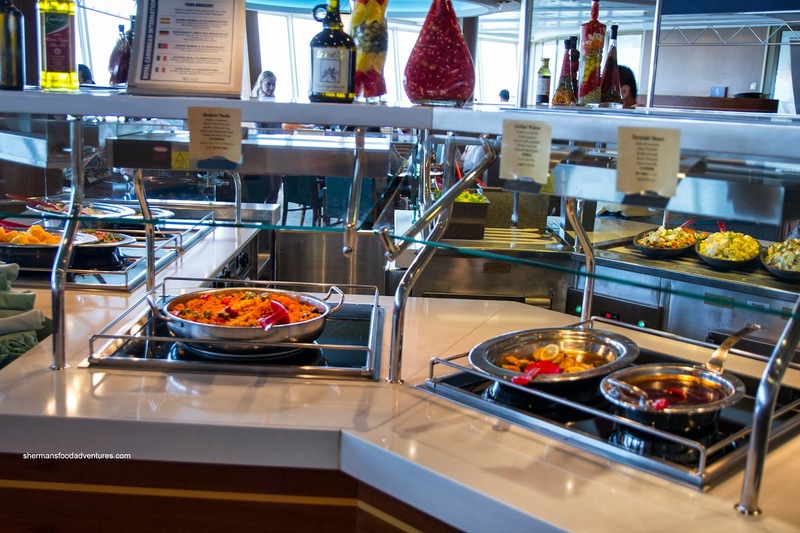 Typically, the buffet food found on most mainstream cruise ships tries to appease a variety of tastes. Hence, don't expect to find gourmet dining nor much in the way of overly creative offerings. They did try though as there was a variety of Asian dishes including Vegetable Curry, Lamb Curry, Dhal, Beef & Shrimp Rice and Nasi Goreng. In addition, there was Seafood Paella, Grilled Wahoo, Mushroom & Pork Ragout, Creamy Pasta, Honey Stung Chicken, Spaghetti with Meat Sauce and a selection of salads and soups. Of course, the usual suspects including Hot Dogs, Hamburgers and Fish & Chips were there as well. Nothing much to rave about, but it served to fill our tummies while we waited for our rooms to be ready. Despite the fact we would be dining every 4 hours or so, we would grab food in between meals at several places. 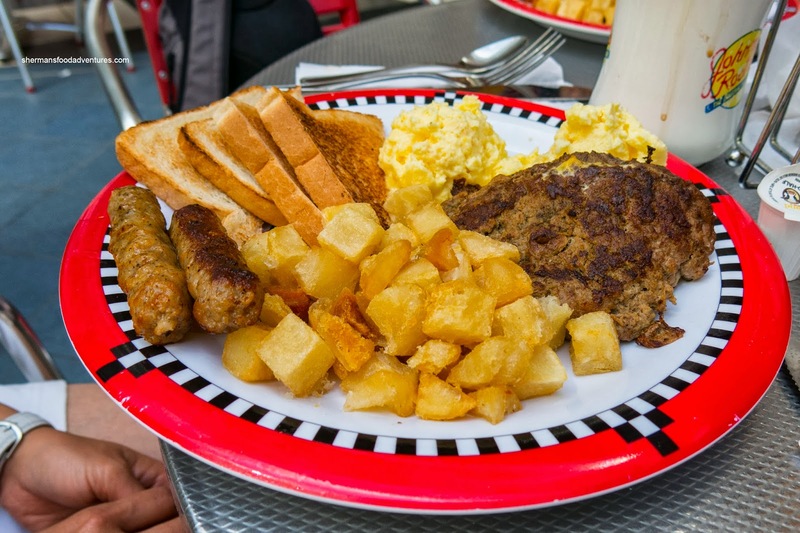 Located on the Boardwalk, the Dog House offered up different varieties of specialty dogs such as the German, Smoke House, Big Apple, Wunderdog, Warsaw, Sicilian and Coney Island. I tried a few and although they were pretty average, I give them props for not merely serving plain hot dogs. 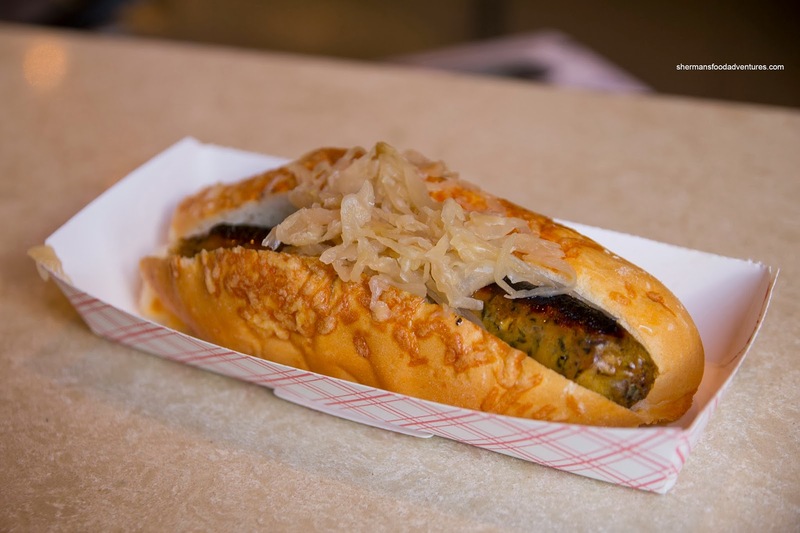 The one pictured was the Big Apple made of a chicken sausage with bits of apple in a Parmesan cheddar baguette. Directly across was Boardwalk Donuts which featured 6 different donuts. I think the kids ate at least one every day. 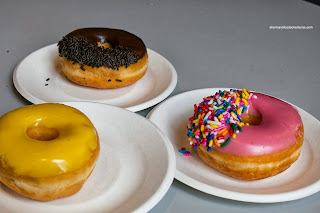 The donuts in the picture (from left to right) included Key Lime, Chocolate Glazed and Strawberry with Sprinkles. Although the donuts were dry and too sweet, the kids didn't seem to mind. 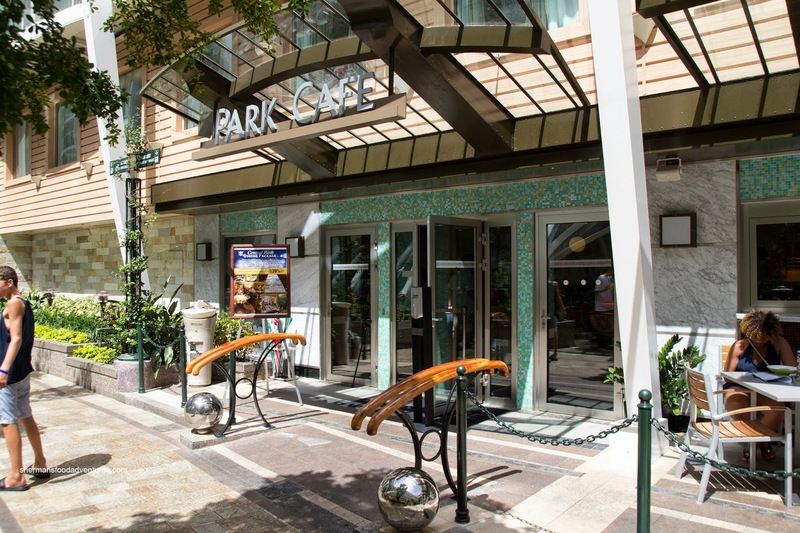 For us, one of the best no charge alternative dining spots was Park Cafe in Central Park. Mainly a lunch spot, it offers up made-to-order salads, soups, freshly-made paninis and the popular roast beef sandwich. We actually visited the place 2 times to avoid the mad rush for food at the Windjammer buffet. 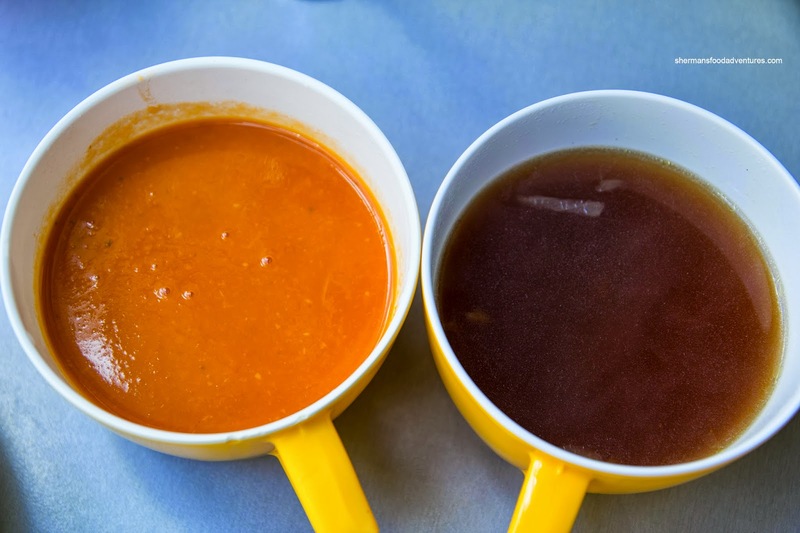 On our initial visit, we had tried out both of their soups including the Creamy Vegetable and Onion. The vegetable was indeed creamy with soft bits of carrots. Although it was well-seasoned, we could still pick out the natural sweetness. The same couldn't be said about the onion soup as it was salty and artificial tasting. 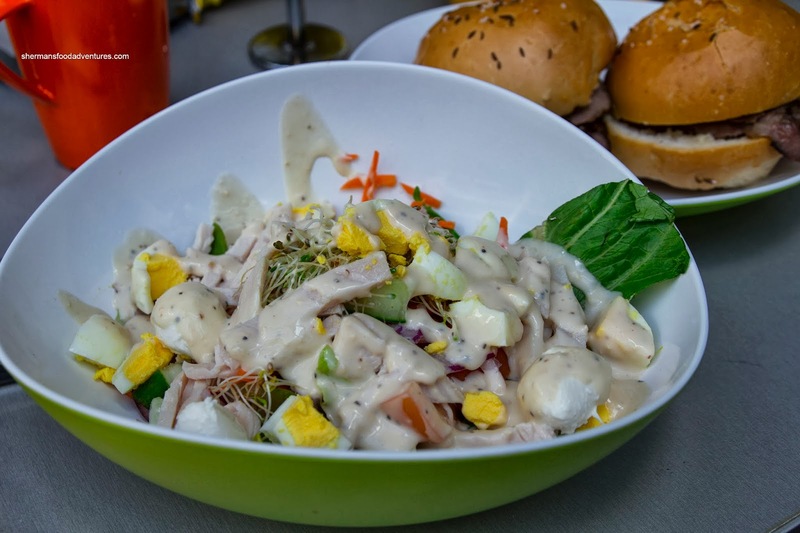 Viv tried out their made-to-order salads. I personally like this idea as the ingredients aren't all messed up by everyone poking at them. There was actually a good selection of ingredients and available dressings. This was a nice light alternative to the heavy offerings at the buffet and main dining room. Okay drum roll... 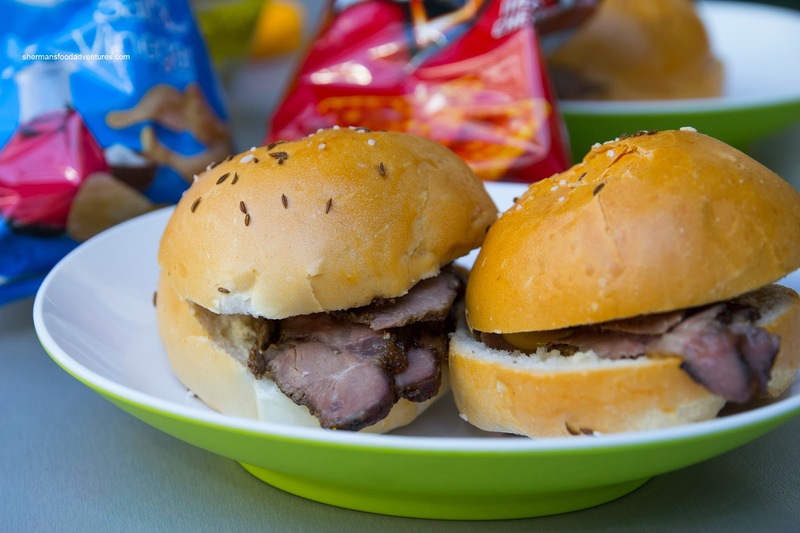 Yes, we had the much talked about Roast Beef Sandwich. Well, it wasn't life-altering, but I'll concede that it was good. The slices of roast beef were really moist and tender while the jus-soaked salted roll was a good choice of bread. 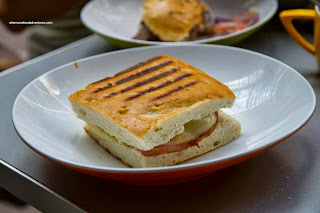 Lastly, we sampled the Cuban Panini. Predictably, it was as close to a real Cubano as a Miley Cyrus performance is to being classy. Whatever the case, it was grilled-to-order and served its purpose (as edible food). 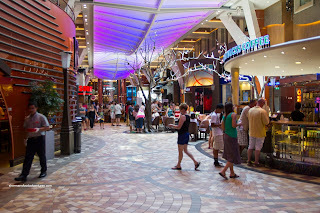 Located down below in the Royal Promenade on deck 5, Cafe Promenade offered up free coffee, milk and ice water to go along with their little bites. 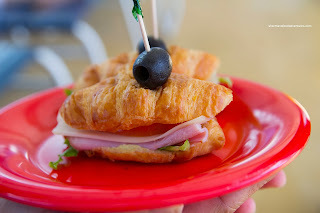 Often, there was a selection of mini sandwiches, pastries and cookies. For those who are watching their sugar, there was always sugar-free cookies available. Since it was open 24 hours, it was a good place for us to grab a quite snack. In addition to their daily donuts, the kiddies had their fill of cookies as well. I had to remind them that when we got home, there would be no display case of endless cookies nor cabinets in the wall with trays of donuts... We also visited Sorrento's a few times for pizza, but it was pretty typical slice pizza and it didn't photograph well either (hence no picture!). Near the sports deck, the Wipeout Cafe offered quick eats in the form of hot dogs, hamburgers, salad and fries. Flavoured water was available at no charge here, but depending on who filled it, it could range from flavorful to tasteless. Also available at an extra charge was Johnny Rocket's. We didn't eat here since paying for burgers was not really necessary due to the other better eating options aboard. 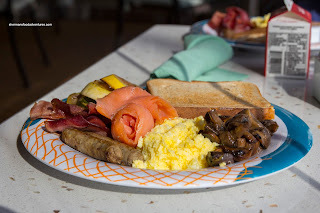 However, breakfast was free and we took advantage of that on the day we arrived at Cozumel. It was less busy than the Windjammer buffet. Nothing ground-breaking here as the breakfast items were pretty typical. Of note, the food took forever to arrive. So if you are in a rush, I would skip it. 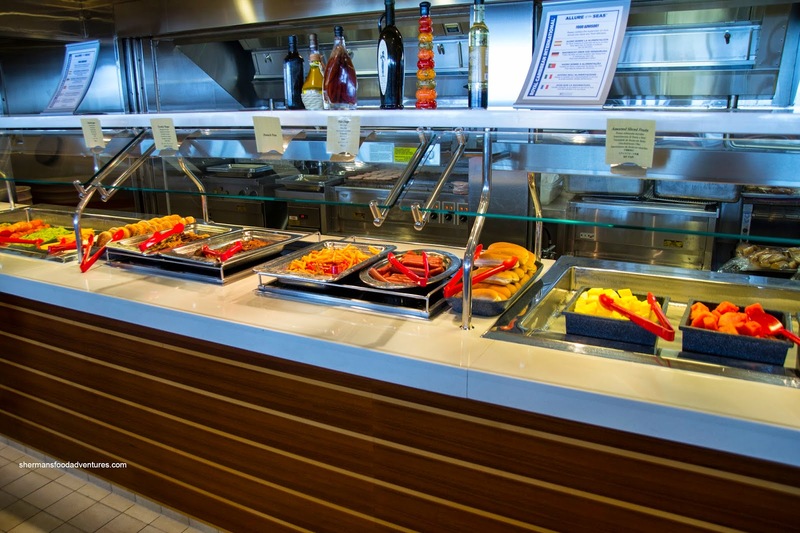 For those who are more health conscious, the Solarium served up healthier options in a buffet setting. 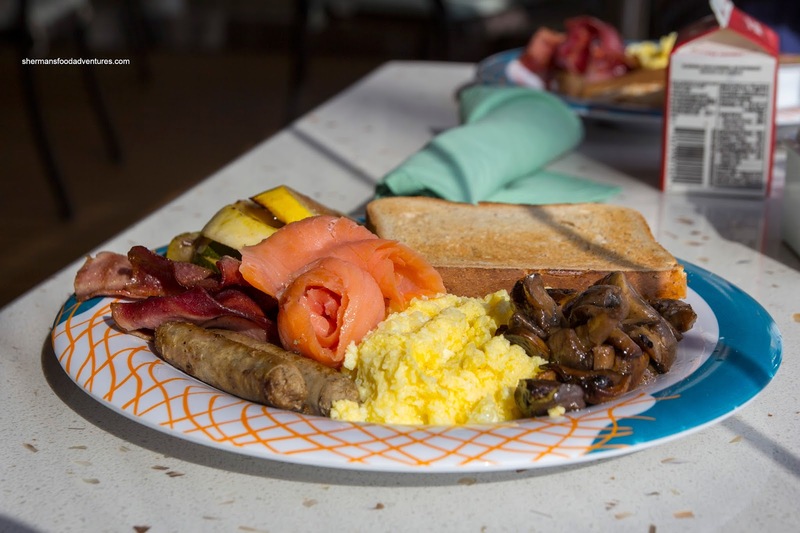 It featured items such as turkey bacon, sauteed veggies, yogurt and granola. I tried it once and it wasn't bad. I particularly liked the venue as it was relaxing and full of light. At night, the space becomes Samba Grill offering a Brazilian BBQ experience. Restaurants that we didn't visit included Izumi (cover charge + a la carte pricing), Rita's Cantina (Mexican), Vitality Spa (smoothies) and the Chef's Table (exclusive tasting menu). 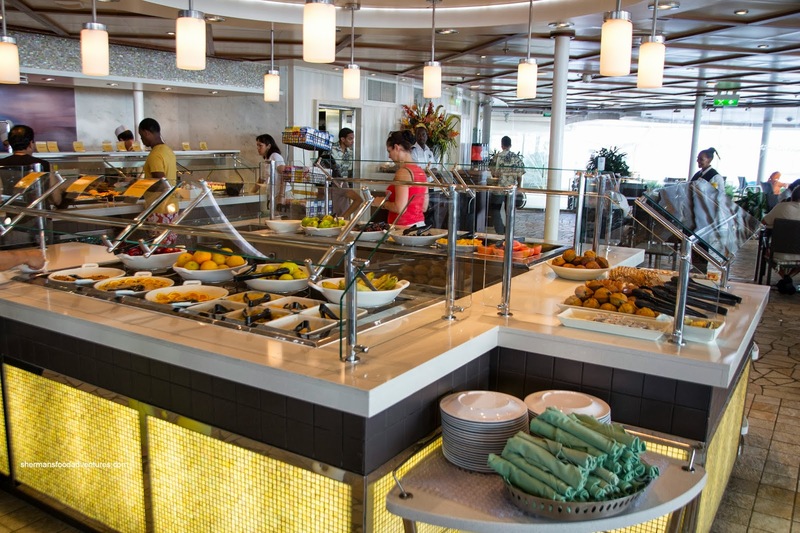 As you can clearly see, you won't run out of options in terms of dining on the Allure of the Seas. That goes the same for the activities too. We had a blast and would gladly go again. THANK YOU! We are going May 4th with our 3 year old so all the tips and hints are super helpful. Some to add is bring a power bar for extra plugs (charging) and bring a small first aid kit. We had an accident on another cruise line and it would have costed us $12 for 6 bandaids and 6 creams. Also sounds crazy but always pack DUCT Tape. If your trusty suitcase was to bust a zipper the night before debarking, where are you going to get a new suitcase? And what are you going to do with all your stuff? Duct tape is the answer! @MaryBank Thanks! 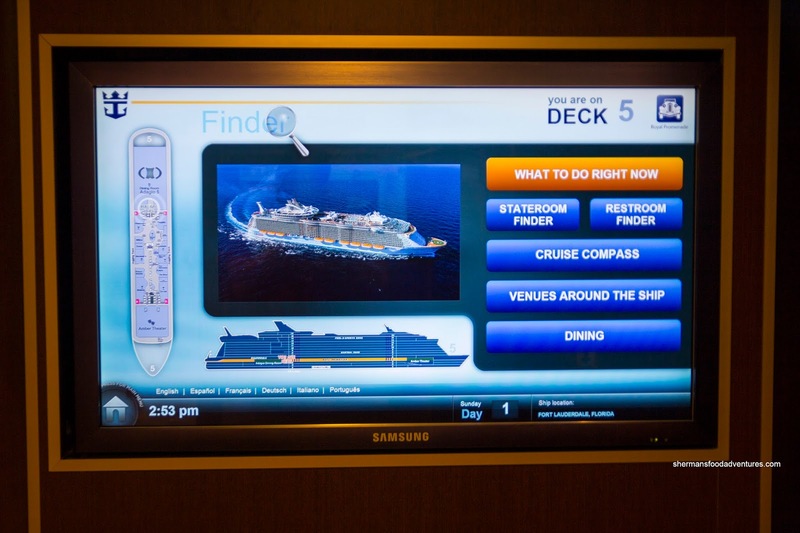 Enjoy your cruise, it's a nice ship! Yes, those other suggestions are on point. Duct tape fixes everything!! !